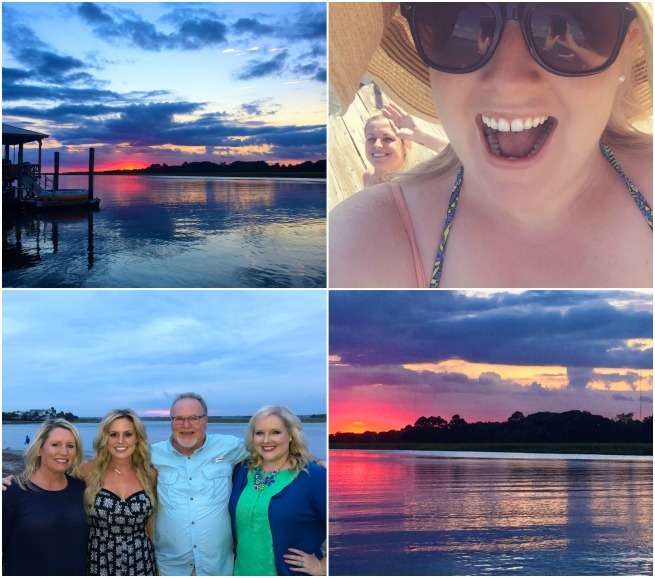 For the last two years part of my family has convened at a cute little island bungalow on the Isle of Palms (near Charleston), South Carolina. M, Hewitt and I just got back this afternoon. Below are some highlights of the weekend in photos. 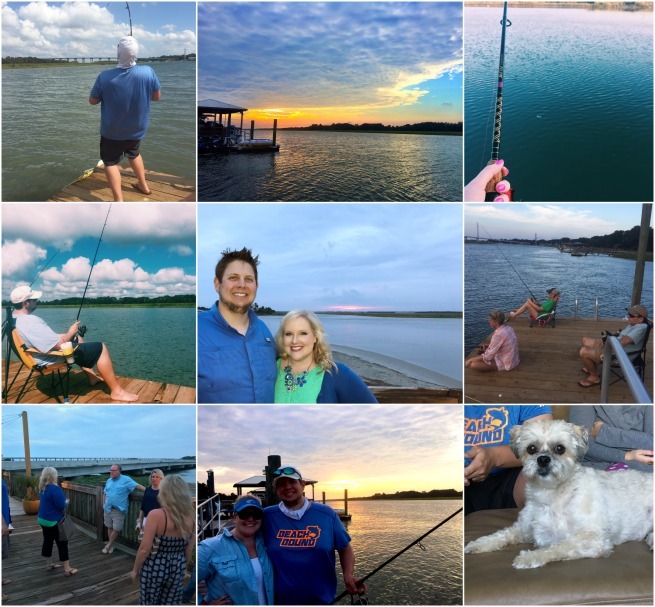 Basically the weekend consisted of alternating fishing on the tidal creek, eating, sunset watching, playing music, mosquito biting, eating, fishing, playing games, applying sunscreen and more eating. It was nice to get away and relax for a few days, but there's truly nothing like getting back home into your own bed. AHHHHH. The sunset shots are spectacular. Hope you guys had a great time!